A few weeks ago we hosted our Supper/Bible Study small group at our home. We prepared a large pot of chili, rice, salad, crusty bread and butter and apple pie for desert. It took a while to decide on a menu – something we could cook ahead of time and have ready when we all arrived, with rumbling tummies, at our house after Saturday evening church. Part of the decision was which butter to serve -salted or unsalted. 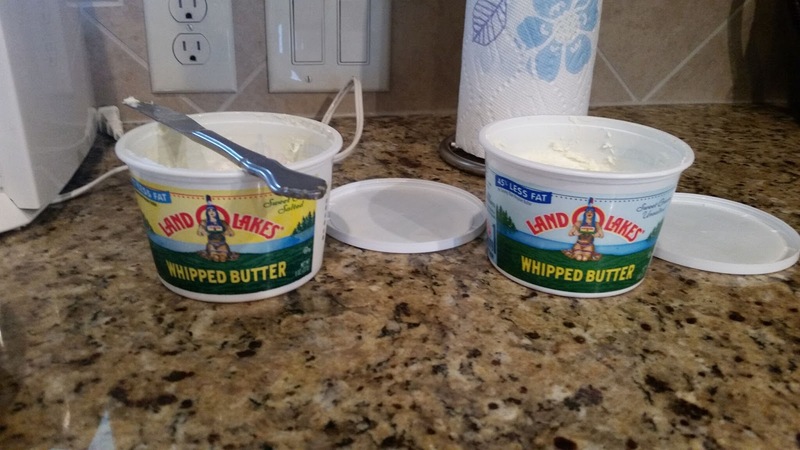 When I married my husband, I made the switch from salted to unsalted. I’m the one who adds salt to practically everything so I looked on it as a bit of a sacrifice. Over the years, I grew accustomed to the taste and even liked it. However, a little yearning for salty butter remained. In order to ensure everyone’s happiness, we bought both kinds. Ah, I thought, here’s my opportunity to indulge in what I’ve been missing. After everyone had been seated and served, I helped myself to a slice of bread, slathered it with salty butter and took a big bite. To my amazement, it didn’t taste as delicious as I remembered. All that longing and anticipation, and it just didn’t live up to my expectations. For the rest of the story, please join me at Laced With Grace.